Self Cure Remedy details of Rinse with lemon juice for the care and relief of Gingivitis, including effectiveness and popularity scores of the remedy. The anti-inflammatory properties contained in lemon juice could be very useful in the healing treatment of gum infections. 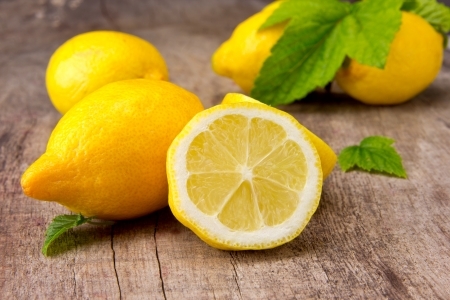 Furthermore, lemons contain vitamin C, and that may empower your gums to fight off the disease. Squeeze the juice of the lemon and add a bit of salt to it. Combine the salt and lemon juice well until it turns into a paste of sorts. Apply this paste onto your own teeth and leave it on for several minutes before gargling with water. The self cure remedy of Rinse with lemon juice for the care and relief of Gingivitis has an effectiveness score of 3.2 and a popularity score of 48 on the self-cure system.